The most important element in the free market is the individual. To communicate free-market principles effectively, we must first understand the people who drive the free market economy. 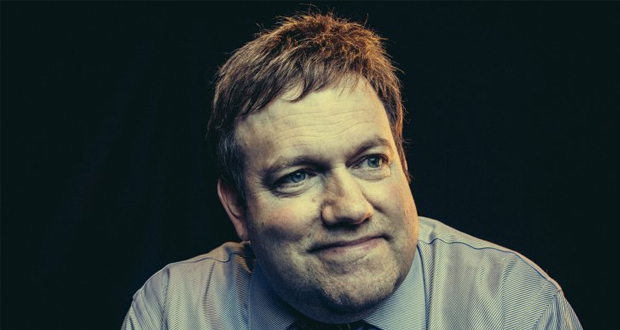 Dr. Frank Luntz has spent his career studying language use all over America. He has a deep understanding of what motivates, what inspires, and what connects with hardworking American consumers. His new, bestselling book “Words that Work” is an exciting look at the process that creates the words and phrases we all recognize and remember – from politics to commercials to corporate America. Dr. Luntz will share his intimate understanding of how America thinks, how America feels, and how America communicates. This presentation will make available the communicative tools needed to craft a free market message that is sure to appeal to the American citizenry. Most public opinion experts can only tell you what they think is on the minds of ordinary Americans, but Dr. Frank Luntz lets ordinary Americans speak for themselves. Through thousands of hours of intense direct response/focus group dial testing, Dr. Luntz has his fingers on the pulse of every issue Americans talk about today. Dr. Luntz will provide expert insight and analysis that can help you, the business leader, the politician, or just the average citizen, understand the thoughts and feelings of the average American. Organizations worry about their bottom line, but sometimes forget that bottom lines are often affected by how their customers and vendors perceive their products or services. And many organizations or companies ignore this - at their peril. But changing attitudes and opinions is difficult. That is where renowned pollster Frank Luntz comes in. Dr. Luntz will bring your customers to you. Live. He can conduct a focus group in front of any size audience. There is perhaps no better way to "get employees on board" than to let them listen directly to what their customers think. Dr. Luntz uses cutting edge technology to show the audience, in real time, exactly how customers react to company communications. From ad testing to sales training to virtually any other interaction with customers, it is impossible to ignore the impact of these sessions on their audience. One of the most honored communication professionals in America today, Frank is the go-to consultant when Fortune 100 companies need communication and language guidance. Frank provides expert political insight and analysis that can help you as a business leader, public servant, or working American. Dr. Luntz has written, supervised, and conducted more than 1,500 surveys, focus groups and dial sessions in over two dozen countries and four continents over the past decade. Frank has become the go-to consultant when Fortune 100 companies need communication and language guidance, from General Motors to Federal Express, Disney to American Express, from AT&T to Pfizer, from Kroger supermarkets to McDonalds and the entire soft drink and motion picture industry, as well as the U.S. Chamber of Commerce, the National Association of Manufacturers and the Business Roundtable. The “Instant Response” focus group technique pioneered by Frank was profiled on 60 Minutes. He has also been a guest on Meet the Press, Nightline, The Today Show, The NewsHour with Jim Lehrer, Good Morning America, Hannity and Colmes, Charlie Rose, Real Time with Bill Maher, and Hardball with Chris Matthews. He also served as a consultant to the award-winning NBC hit show “The West Wing”. More media outlets have turned to Dr. Luntz to understand the hopes and fears of Americans than to any other political pollster. In the 2000 election cycle, Frank conducted almost two-dozen focus groups for MSNBC and CNBC, including live sessions following each night of both party conventions and presidential debates. His reoccurring segments on MSNBC/CNBC, “100 Days, and 1000 Voices” won the coveted Emmy Award in 2001. He was a primary night and election night commentator for The News with Brian Williams on MSNBC in 2000 and for Hardball in 2004. Frank was the first and most vociferous public opinion expert to predict the GOP’s demise in the 2006 congressional elections. Frank has conducted focus group sessions for all three major television networks, two of the three cable news channels, PBS and the BBC. He has also conducted focus groups for The Wall Street Journal, Newsweek, The New Yorker, and U.S. News & World Report. Frank is the author of the much acclaimed Words that Work: It’s Not What You Say it’s What People Hear. The book delves deeply into the art and science of language creation, examining how the simple choice of words can change the course of history. It’s one of those rare publishing crossover success stories -- owning space on top best seller lists for political as well as business books. When he is not consulting, Dr. Luntz can usually be found in front of a classroom. From 1989 until 1996, he was an Adjunct Professor at the University of Pennsylvania. He has also taught at Harvard and George Washington. Frank has lectured at two-dozen colleges and universities. An accomplished author, he has written op-ed pieces for The Wall Street Journal, The New York Times, The Los Angeles Times, the Financial Times, and The Washington Post. Frank graduated with honors from the University of Pennsylvania with a Bachelor of Arts degree in history and political science, and was named a Thouron Fellow. He received his Doctorate in Politics at the age of 25 from Oxford University. He spoke for 24 straight hours as part of the Oxford Union Society’s Guinness World Book of Records debate. In the spring of 1993, Frank was named a Fellow at Harvard University’s Institute of Politics, the second youngest individual ever to receive this honor. "Frank was great. Very high energy, very entertaining and great information. We've gotten a lot of really positive feedback on him. He was really a great way to end the day." "Went very well,he absolutely exceeded our expectations and I think he (Frank) really enjoyed it as well"
"Frank's presentation was very well received by the entire management team, he was engaged and very energizing. Thank you for all your support." "...clever, insightful, amusing, direct, unsettling and utterly provocative.... You sure kept people thinking and awake. I know that kind of energy and thoughtfulness takes a lot of preparation and stamina (you think you’d be thinner)."